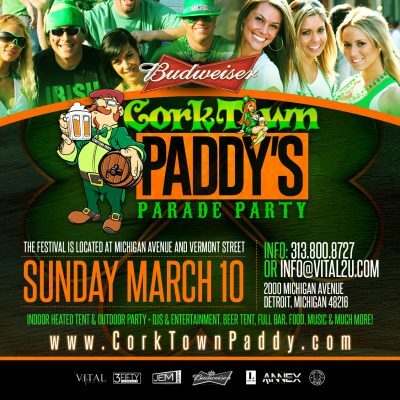 Corktown Paddy's Parade Party on Sunday, March 10th! Join us along with 3000 people! Click the image for tickets and more info! 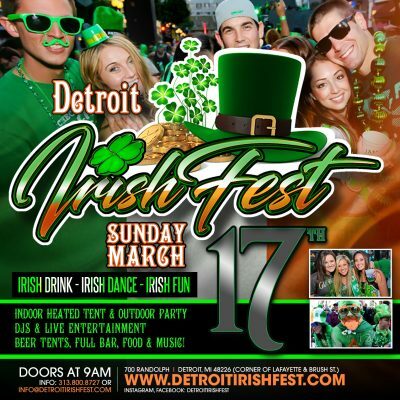 Detroit Irish Fest on Sunday, March 17th! Detroit Home Opener on Thursday, April 4th! Join us along with 7000 people! Click the image for tickets and more info! 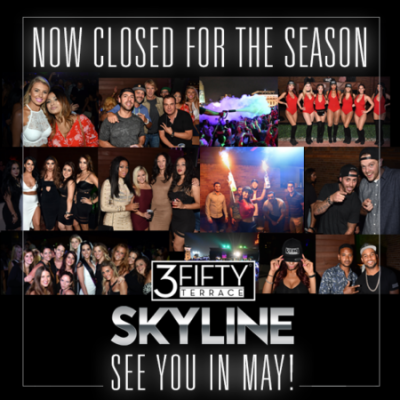 3Fifty Terrace is now closed for the season! We will see you back in May on Memorial Day Weekend! 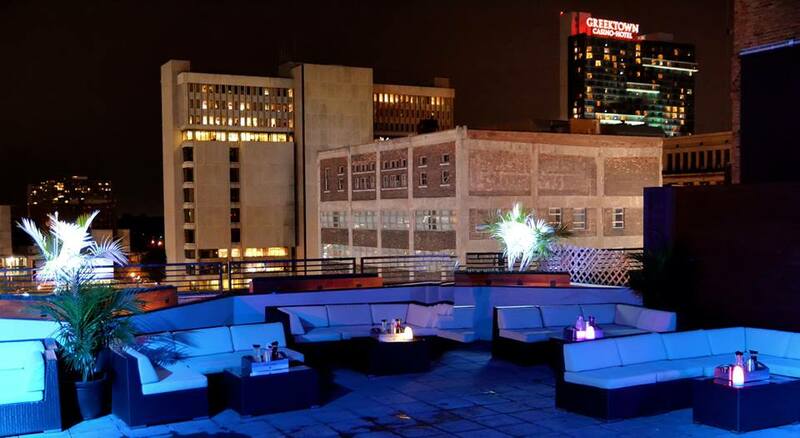 Welcome to 3Fifty Terrace, Detroit’s premier rooftop nightclub for VIP table service & special events! 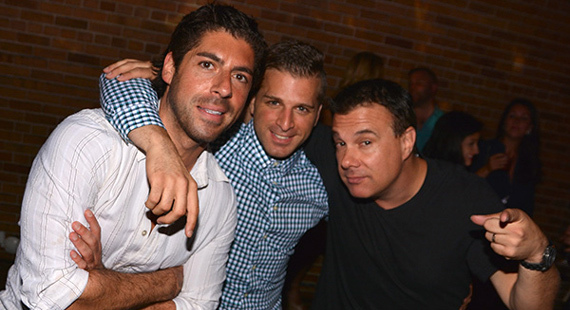 Mingle with beautiful people, young professionals & more. Located within walking distance of notable Detroit landmarks such as Comerica Park, Ford Field, The Detroit Opera House & The Detroit Athletic Club, 3Fifty Terrace features 10,000 sq. 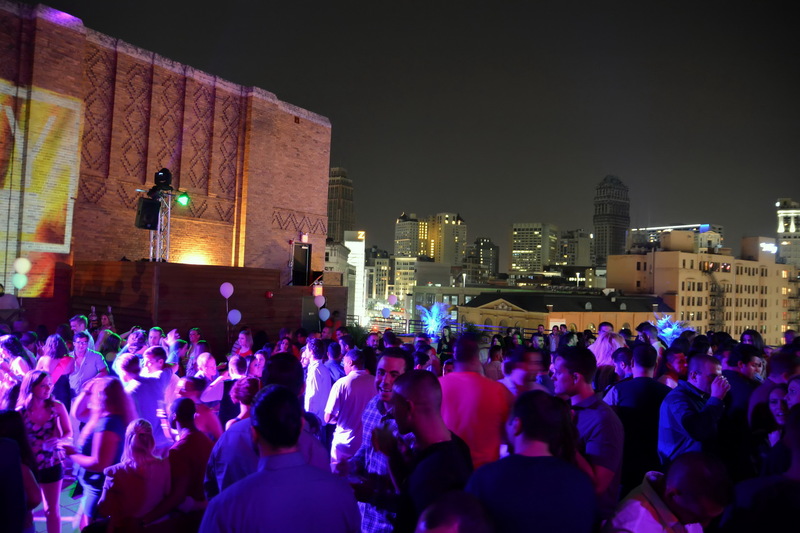 ft. of unique rooftop, open air space to host your night out or special event. 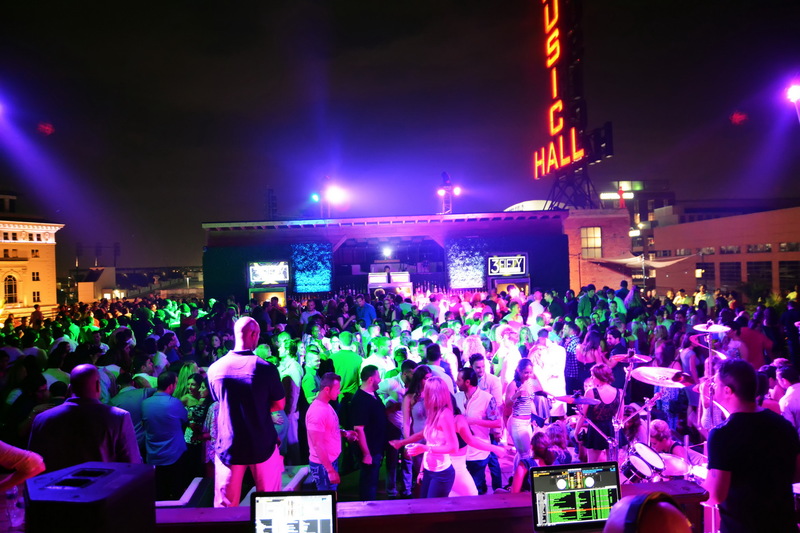 3Fifty offers the full array of amenities to host any type of event from birthday parties, bachelorette parties, bar or bat mitzvahs to corporate & non-profit events. Amenities include an expansive granite top bar, 23 VIP booth sections, & well appointed restroom facilities with attendants. Entertainment features are complete with a DJ & sound booth, fully programmable LED lighting, and large projection screening capabilities, CO2 cryo jets & more. We are NOT able to accommodate private events on Thursday, Friday, Saturday nights (9pm-2am) or Sunday (5pm-11pm) . 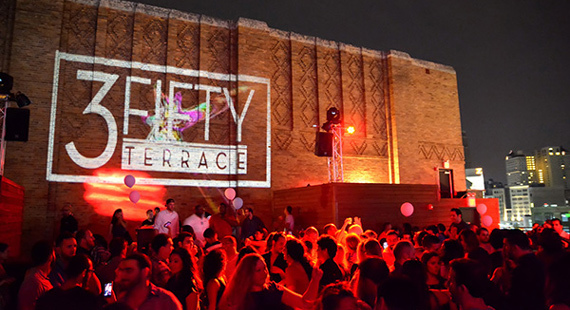 3Fifty Terrace is still able to accommodate larger groups looking to host events during those days/evenings, however, they can not be private and 3Fifty wouldremain open to the general public. Please see our hours of operation below. We deliver any ID’s, credit cards and/or wallets, etc to the Music Hall staff. You can call during weekday business hours at (313) 887-8501 and speak to the Food and Beverage Director who will co-ordinate returning your items. For your protection, 3Fifty does not keep any personal belongings. ARE BIRTHDAY CAKES AND DECORATIONS ALLOWED? First of all, we really appreciate that you chose to celebrate your special occasion at 3Fifty Terrace! We would love to accommodate everyone’s wishes as it relates to decorations, cakes, and outside food and beverage, but, unfortunately, for the sake of guest safety and health department concerns there are some limitations to what we allow and don’t allow. Unfortunately, we do not permit people to bring any type of outside food – sorry but birthday cakes, cupcakes, etc. are not permitted. Decorations are permitted in your area but are restricted from anything that must be affixed to any piece of furniture or wall/floor with anything stronger then tape. Balloons are ok with us. The more the merrier! BOOTH RESERVATIONS – WHAT DO WE GET? 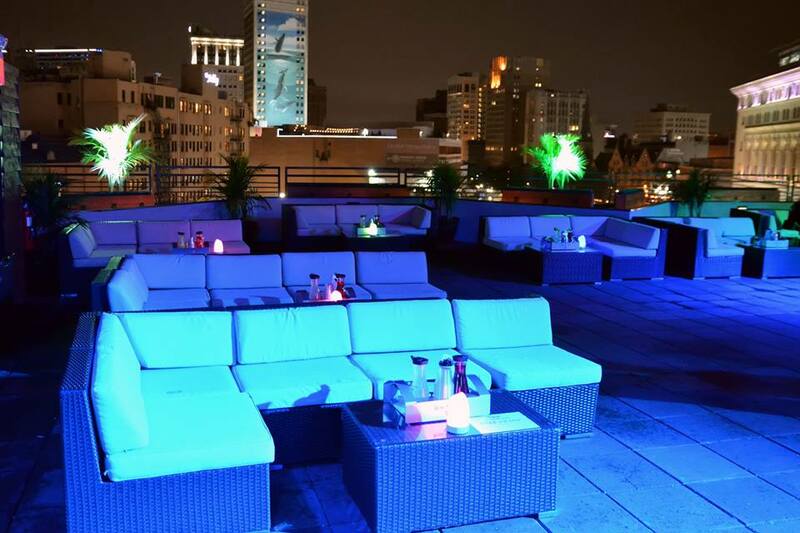 For questions concerning bottle service please contact our VIP host @ 313.687.4350. Bottle Price List: (If you don’t see something you would like please let us know and we can make special arrangements for your booth.) Prices do fluctuate based on demand and availability. No basketball or running shoes. Athletic inspired designed shoes are permitted but should be clean. No sweatpants, jerseys (except for on ‘game days’) or similar athletic wear. No plain colored, generic t-shirts – collared shirts or designer t-shirts are permitted. 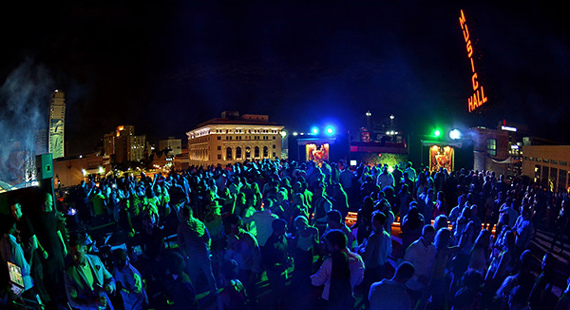 Please log on to www.3FiftyTerrace.com for more information on each night. CAN I HOST A PRIVATE EVENT AT 3FIFTY? We appreciate that you are thinking of us to host your special event at 3Fifty. Unfortunately we are limited in the types of events we can accommodate and the day and times of the week that we are available. 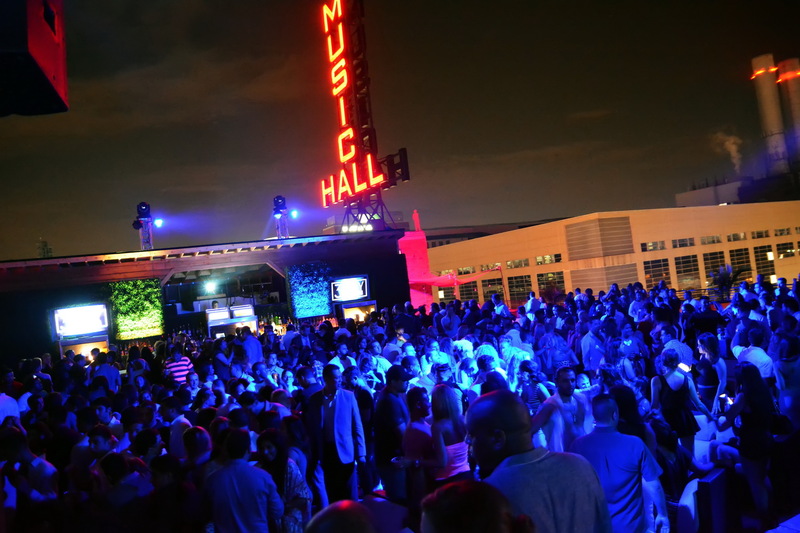 If you are looking to host any type of event that would require that 3Fifty be closed to the general public, e.g. weddings, private corporate events, we are able to only host those events on Monday, Tuesday and Wednesday evenings. We also may be able to host a private event on Saturday afternoons but it must be completed by 7pm. We are 100% weather dependent. We do not have a rain contingency plan. For this reason we politely decline any wedding or engagement booking requests because we know how much time and money goes into planning them and we just don’t have a way to host the event if it rains. If you would like to book an event with us please go to www.3FiftyTerrace.com and complete an event rental form request and our host will contact you immediately. 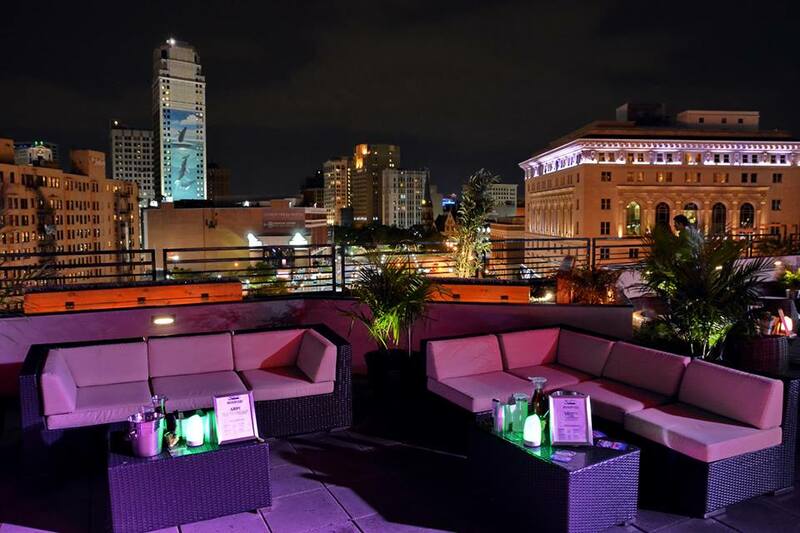 3Fifty Terrace is strictly a 21+ venue, unless modified for a special event. On “game days” (Detroit Tigers or Lions) we permit families to bring minors (under 21) but they must be accompanied by a parent. 3Fifty Terrace does not own or operate a parking facility, however, we are conveniently located in the heart of Detroit’s entertainment district and there is no shortage of street parking, private lots and parking structures within 100 yards of our entrance. We recommend that customers park in a well lit, and attended parking lot. There is an outdoor lot at the corner of Brush and Madison that is open on weekend nights and is directly across the street from our entrance. 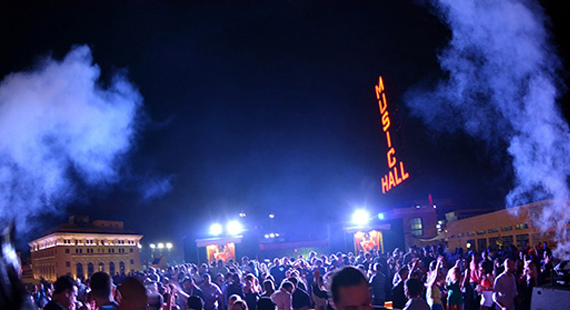 The Gem Theater operates a parking structure that is also open late nights and attended. It is located just north of the intersection of Brush and Madison behind the Gem Theater. There is an additional outdoor lot at the corner of Madison and Randolph that is open late nights and attended. 3Fifty is not responsible for any damage, or theft to any vehicles or personal property at any of these parking options and are only recommending them for your convenience – we have no affiliation or agreement with these parking lots/structures.